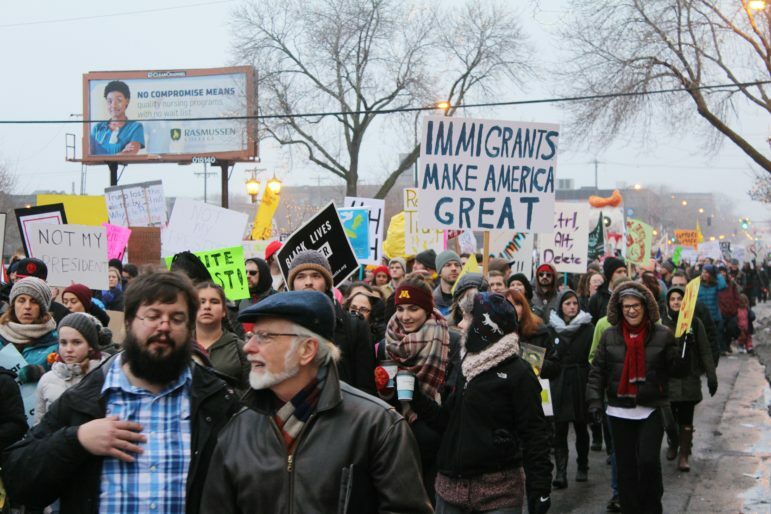 Speakers address a crowd of thousands at the corner of Franklin Avenue and Nicollet Avenue during the Resist From Day One March on Jan. 20. 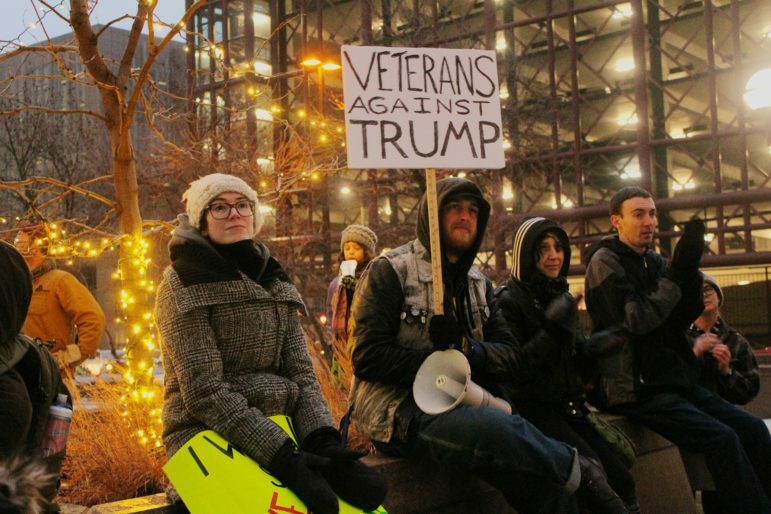 Photo by Cristeta Boarini. 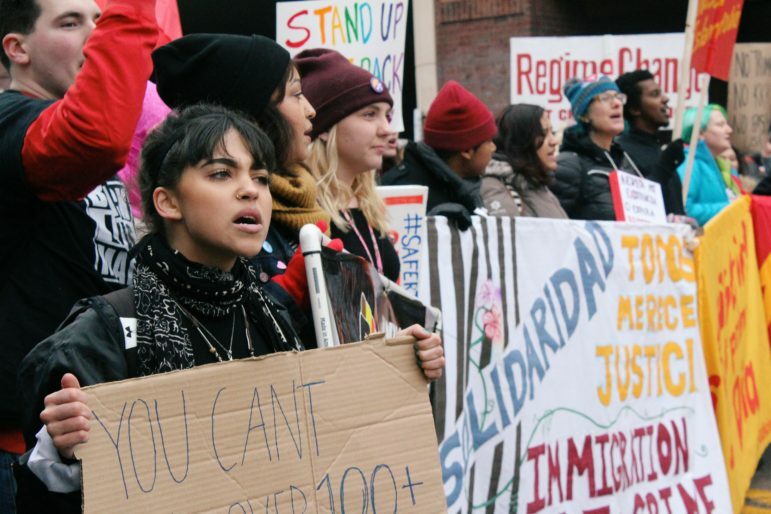 More than 2,000 people from 75 Twin Cities local and grassroots organizations took to the streets as part of the Jan. 20 inauguration day protests. 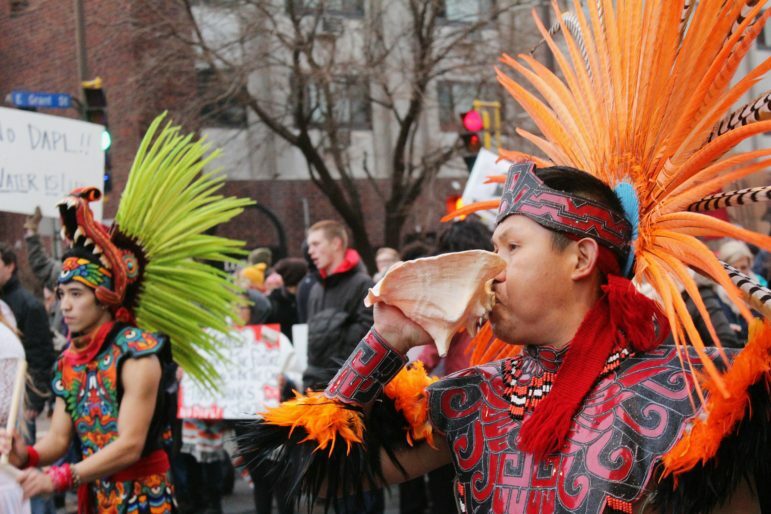 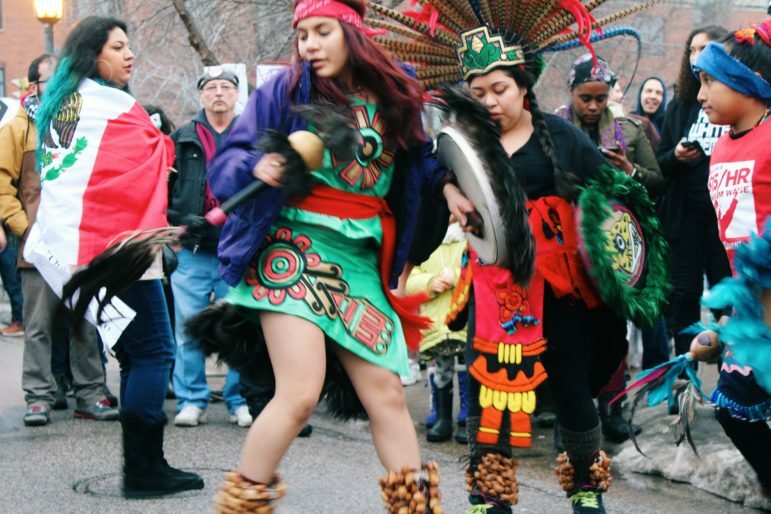 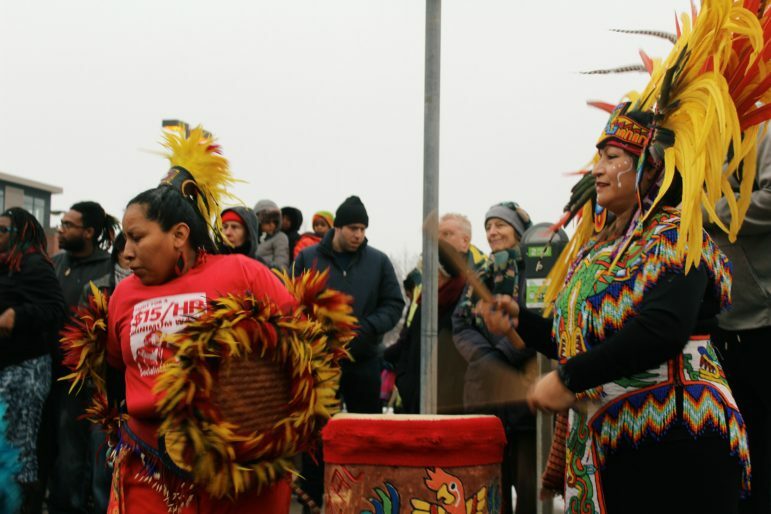 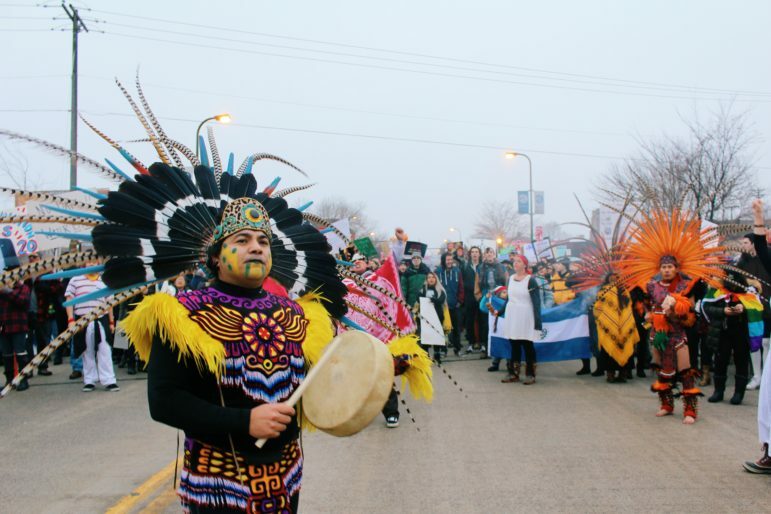 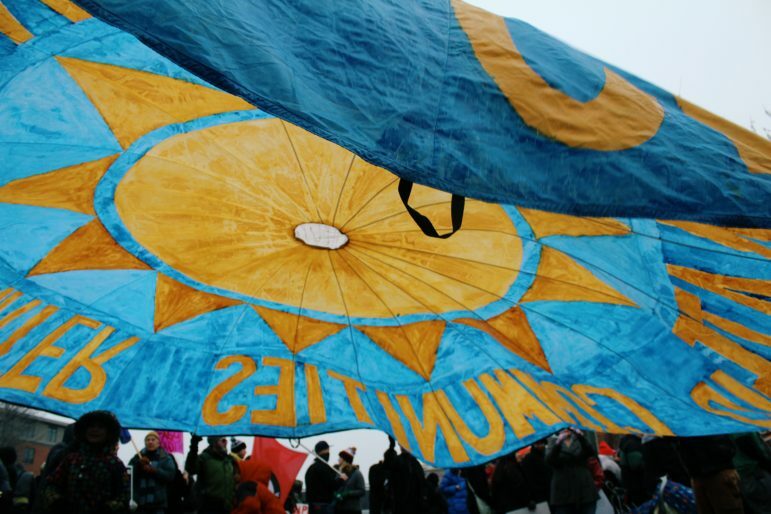 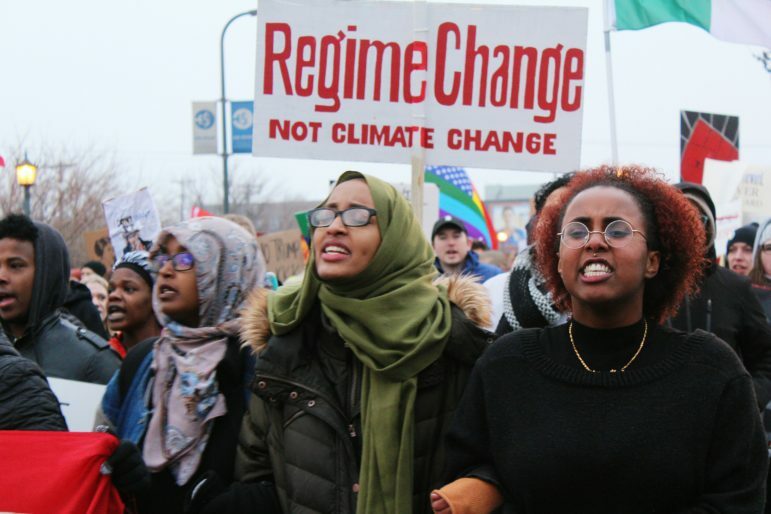 From the Black Snake Resistance March to student walk-outs from the University of Minnesota, Augsburg College and several high schools, the group marched from Lake Street and Nicollet Avenue to Peavey Plaza – or the People’s Plaza as speakers dubbed it – in downtown. 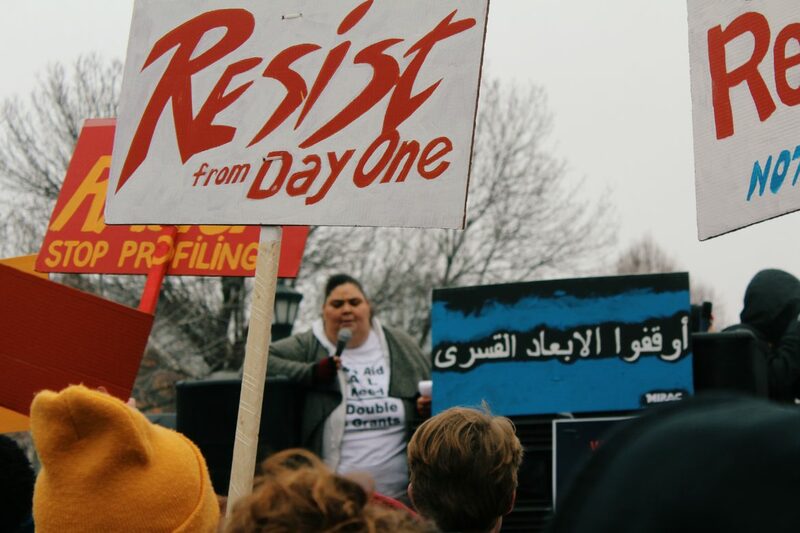 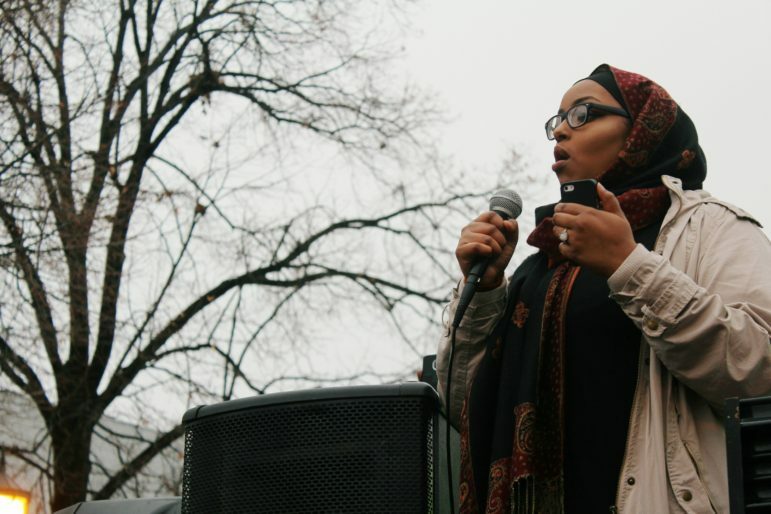 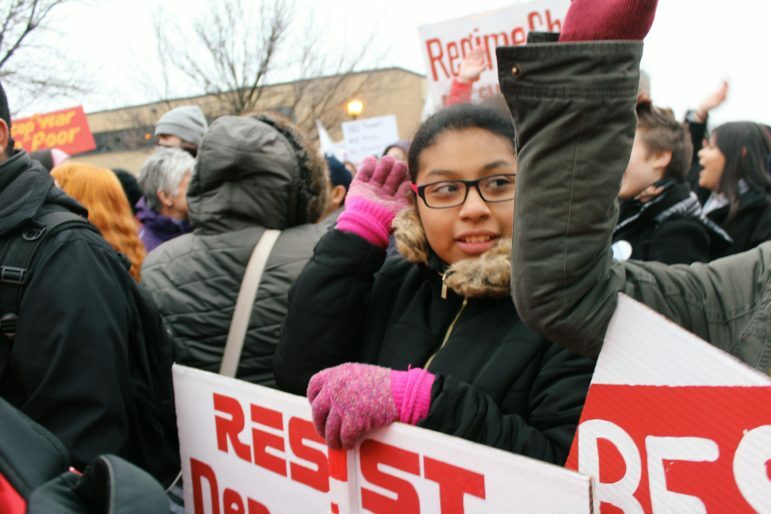 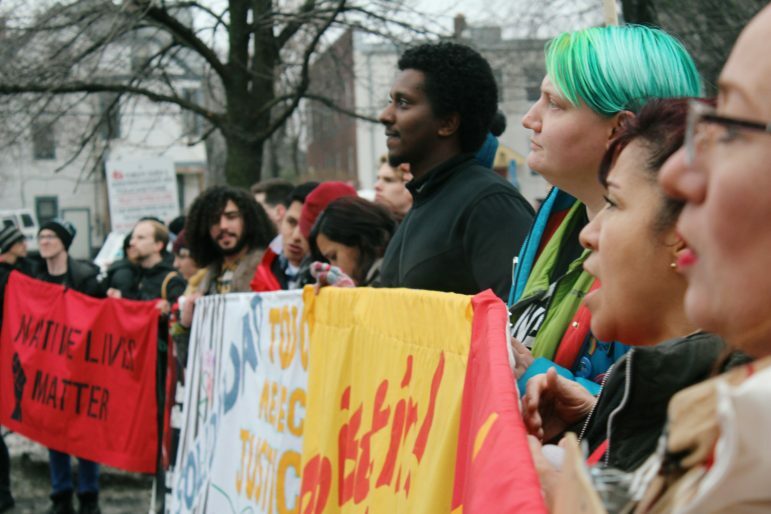 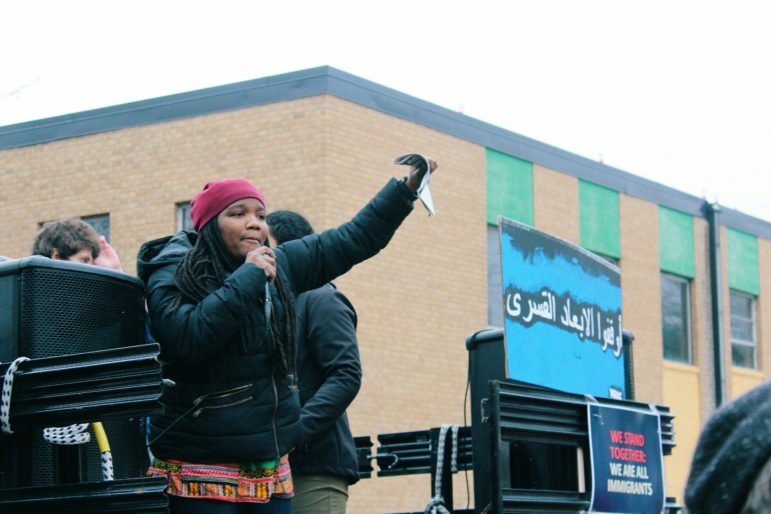 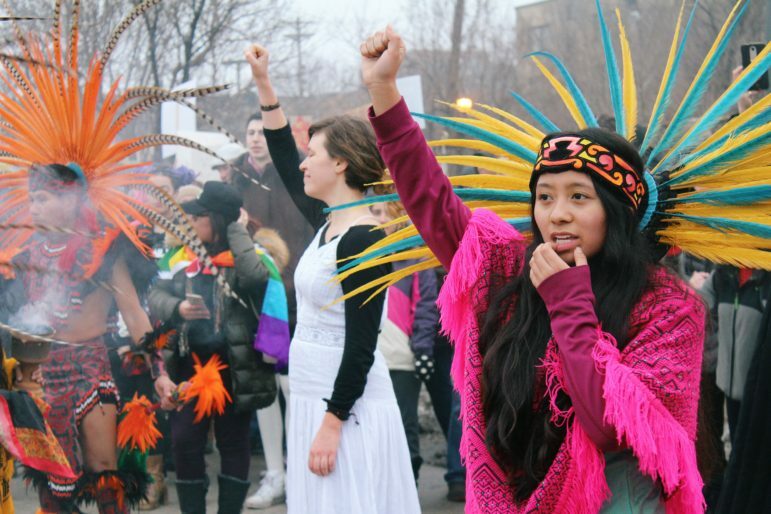 Check out the photos from the ground as young people, LGBTQIA folks, people of color, immigrants, Muslims and Twin Cities residents from all walks of life demanded equity and pledged continued resistance.